Who knows what a biobank is and does? What about a pathology institute? These were some of the questions addressed at a workshop organised by BBMRI.at and the Institute of Pathology at the Children’s University Graz. Both youngsters from primary and high schools attended a hands-on workshop to try out some of the tasks typically done at biobanks and pathology labs. Snap-freezing (sausage) tissue in liquid nitrogen, staining FFPE (mouse) tissue sections and viewing stained sections from different organs through the microscope, the participants got some practical insight into how organs work and the functions they fulfil in the human body. 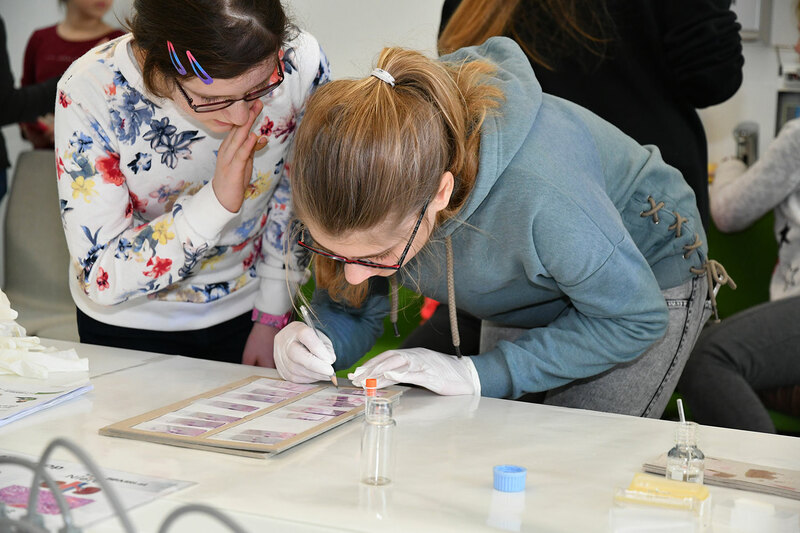 Workshops like that are an excellent way of teaching children about biobanks and pathology institutes, the role they play in healthcare and research, and their importance.